Friday September 1st we invited everyone to join us for an evening exhibition around the House on the Hill: Under the tree, in the Barn and on the grass Field. The exhibition showed works created over two weeks by our residents Kirsty Badenoch, Yingting Cui, Emily Fitzell & James Rogers, see work descriptions below. Together with the artists, 30 people walked around the premise, explored installations, studied drawings and participated in creating artworks. The evening ended around the fire between the House on the Hill and the Barn and with further conversations about the artists’ work. This was the first Artist in Residence exhibition in the Fall 2017. The project brings together their respective practices as writer and architect to explore the possibilities of ritual and myth in contemporary place making. Using their bodies as a tool of measurement, they have cast twelve concrete cubes along the line of a circle in the clearing behind the House on the Hill. The combination of these geometric forms presents an uncertain space, at once bound and unbound, familiar and unfamiliar. 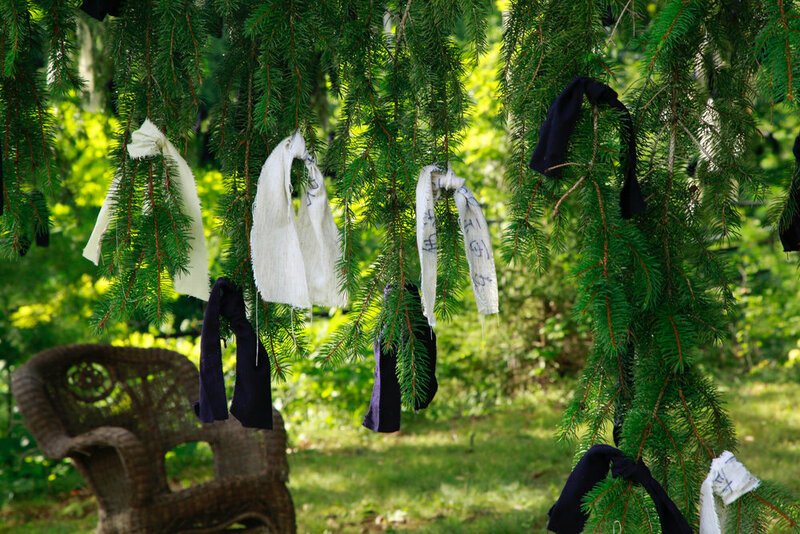 This therapeutic installation piece responds to an incident two days before coming to ALN. A traditional O-mikuji is a form of fortune telling temples provide in Japan. The work aims to transform traumatic experience into an alternative commune safe space. 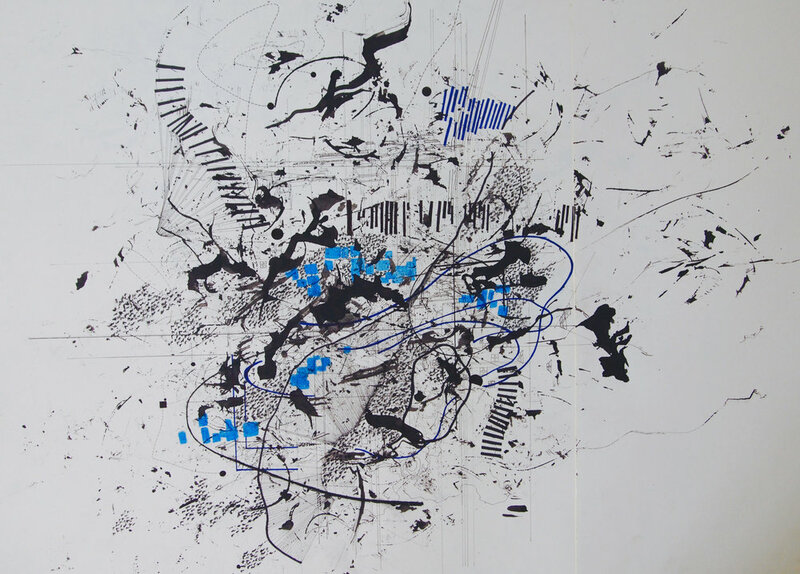 Kirsty is an architect and artist working with experimental drawing and cartography. She has spent the last three weeks with ALN developing a series of drawings around themes of landscape process and fluidity. Tracing time, memory and movement through mappings and narrative encounters, the drawings take departure from actual islands that are currently disappearing underwater due to sea level rises. In situations of extreme unpredictability of nature, her drawings explore the fluidity of architecture, landscape and the collective memory of a community, capturing a moment in time upon paper.